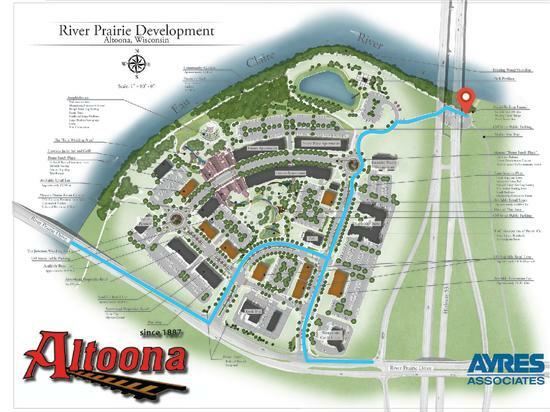 Altoona’s new River Prairie development on the Eau Claire River offers a great location for local anglers looking to cast a line into untapped waters. According to Wisconsin DNR Fishery Biologist Joseph Gerbyshak, the River Prairie location provides a diverse fishing opportunity, especially due to the site’s close proximity to the confluence. Smallmouth bass, perch, walleye and musky are examples of abundant game fish in the area, and can be caught using a variety of different baits including top-water and live bait. Drive on down and park in the canoe landing area, take a walk along the new River Prairie Trail and find your spot to cast a line!